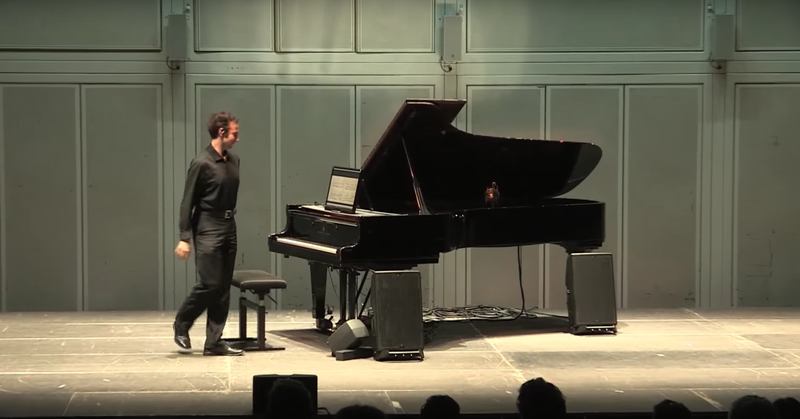 Dr Pavlos Antoniadis (PhD University of Strasbourg-IRCAM, MA University of California, San Diego) is a pianist, musicologist and technologist from Korydallos, Greece, currently based in France. He performs complex contemporary and experimental music, studies embodied cognition and develops tools for technology-enhanced learning & performance. He is a member of the Interaction-Son-Musique-Mouvement team at IRCAM, as well as of the Laboratory of Excellence GREAM, Université de Strasbourg, where he also taught seminars on computer music and contemporary performance practice. As a pianist, he has performed in Europe, North & South America and Asia with the new music ensembles Work in Progress-Berlin, Kammerensemble Neue Musik Berlin, Phorminx, ERGON, Accroche Note, as well as a soloist with the Thessaloniki State Symphony Orchestra. He has participated in recordings for Mode (2015 German Recording Critics Award / Deutscheschallplattenkritikspreis) and Wergo records. As a soloist, he has worked with composers Mark Andre, Helmut Lachenmann, Brian Ferneyhough, Wolfgang Rihm, Tristan Murail, Richard Barrett, Walter Zimmermann, and has premiered solo piano works by James Erber, Nicolas Tzortzis, Andrew R. Noble, Luis Antunes Pena, Dominik Karski and others. His programming features the most complex contemporary works, extremes of physicality, live electronics, multimedia and musical theatre, often in eclectic dialogue with ancient repertoire from Cabezón to Bartók. He is also active in free improvisation with the composer and improviser Panos Ghikas (London) and has collaborated with the physical theatre group Zero Point (Athens).